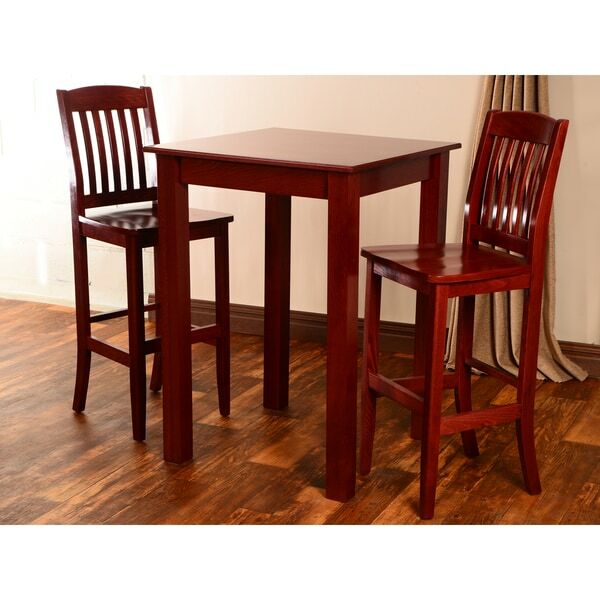 This handsome mahogany bar set features two (2) high bar chairs with ribbed style backing and one (1) 42 inch bar table, 30 inches wide for maximum space. The set is crafted from solid European beech wood for high quality. Please note: Large orders will be shipped via Freight carrier and our Oversized Item Delivery/Return policy will apply. Please click here for more information. Dimensions Barstools: 46" inches high x 17" inches wide x 19" inches deep Table: 30" X 30" Height: 42"